Perfect for a day trip from Paris if you can't spend a night in Bayeux the day before your tour ! We will cover a large area, stopping to visit all major sites in the U.S sector. 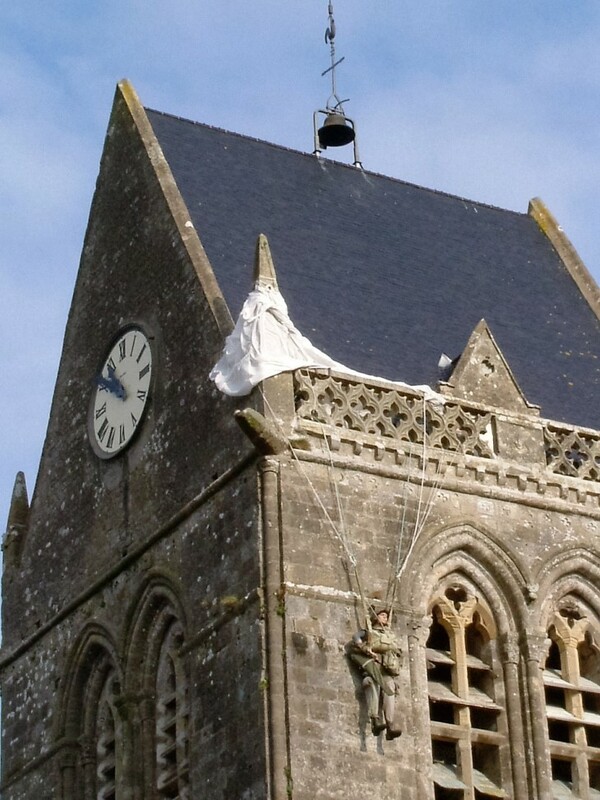 We will discover the extraordinary actions of the paratroopers in Ste Mère-Eglise and the Airborne Museum. We will also go to Utah beach where landed the U.S 4th Division. During the day we can discuss a lot of subjects about the war (from German occupation to French Resistance) and speak about so many different soldiers’ war stories. We will visit Pointe du Hoc. This German battery attacked by the U.S Rangers will put you right in the atmosphere: the beach, the cliff, the bunkers, the bomb craters... and we will make sure to make a stop at the best-known Bloody Omaha. Four miles long, no picture or movie has yet made it a justice. A second stop for Omaha is the heart-breaking U.S cemetery, for yet another perspective of the beach from the high ground.